In part one of the story, we mapped out the history of Stuttgart which is intertwined with the evolution of the internal combustion engine and the automobile over the last 100 years. That has resulted in a city that benefits from the innovative lifeblood of the industry and is, at the same time, mired in the worst particulate pollution in Germany. The citizens of Stuttgart take an immense amount of pride in the innovative, dynamic history of the region and are not content to let that rich history go by abandoning their automobiles for public transit, nor are they willing to concede to the otherwise imminent fate of going down in history as the most polluted city in Germany. With such entrenched forces brought to bear against each other, and with the 2.3 million member strong union IG Metall also aligned against any change so radical that it might disrupt the stability of the petrol-centric German automotive industry, the city of Stuttgart and the state of Baden-Württemberg as a whole are at a historic crossroads. In spite of the tension, local citizens and a handful of the leaders of Stuttgart are banding together to map out a path towards a clean air future for the city. The plan is a smorgasbord of solutions that all center around the controversial Stuttgart 21 that aims to modernize Stuttgart’s Central Train Station, more efficient buses, an intentional effort to maximize the walkability of the city and even a push towards ebikes. The tip of the spear in the effort to modernize Stuttgart’s transportation centers around the 4.5 billion euro ($5 billion USD) project to upgrade Stuttgart’s central train station known as Stuttgart 21. Stuttgart 21 aims to transform the central station from a terminus station — where trains must pull up to a dead end stop and then back out again to continue — to an underground pass-through station that even with half the number of lines, will allow for more trains to flow through with fewer delays. The controversial project was originally announced in 1994 with work starting in 2010 against an estimated budget of 4.5 billion euros ($5 billion USD). It was originally scheduled to be completed in 2019, but that timing has slipped to 2021 which has come with an increase in the estimated cost to 6.5 billion euros ($7.3 billion USD) (via Wikipedia). Local activist groups have rallied in opposition to Stuttgart 21 on the grounds that it is too expensive, will provide diminished access to the neighboring “Green U” park that surrounds central Stuttgart, and that it does not respect the historic nature of the Stuttgart central station. With the funding being provided by the German national rail system Deutschbahn, the federal government, the state of Baden-Württemberg, and the City of Stuttgart, the decision is out of the control of just the city and thus, more complicated to oppose. Even with the fierce opposition, the majority of the Stuttgart residents have continued to support the undertaking over the years. To ensure citizens who embrace life without a personal vehicle retain the means for longer road trips, Stuttgart has also encouraged vehicle sharing services like Daimler’s Car2Go and Deutsche Bahn’s Flinkster to come into the city. Car2Go has the added benefit of getting the population familiar with electric vehicles without the commitment of a purchase or lease. The system acts as a safety net for those unsure of whether or not a new form of transportation will work and enables flexible travel options. The vehicles, like this Smart forTwo electric, are scattered about the city at predetermined charging locations that can be found with the easy to use smartphone app. Stuttgart has partnered with Deutsche Bahn and its ‘Call a Bike’ rental scheme which was designed to give train riders an easy way to get from train station to and from their final destination. Users simply have to set up a single account that can be used in cities all around Germany to rent bikes. These types of systems are perfect for cities and nations with well developed mass transit, as they provide a solution for the “last mile” which is a generalized figure for the distance from the end of a mass transit route to the traveler’s ultimate destination. At the handful of stations we visited in Stuttgart, we found the bike rental stations to be consistently well used, even empty at times, indicating that the system is seeing heavy use. 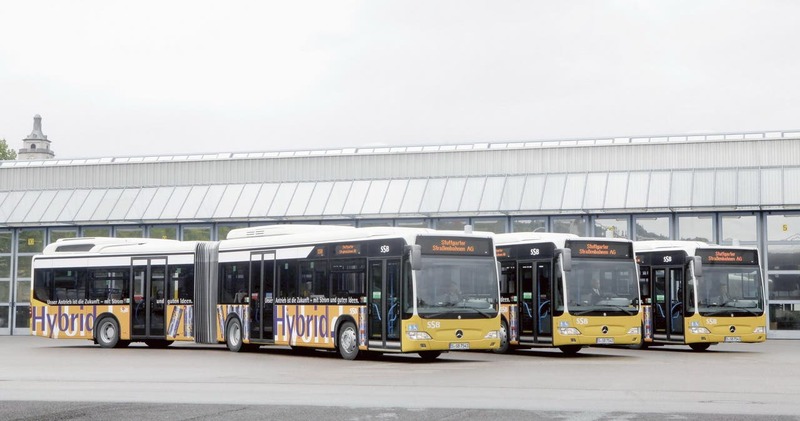 For trips around the more popular routes in town, Stuttgart has a healthy bus system that has received an injection of electrification in recent years in the form of Mercedes-Benz hybrid electric buses. Stuttgart has also become home to an electric scooter sharing service that offers all the mobility of a vehicle at a lower cost. The deployment of scooters is also much easier as they can be parked on curbs as compared to hard-to-find street parking. Over the last few months, 75 of the iconic blue electric scooters from Emco have appeared all around the city. As anyone who has ridden a scooter or motorcycle knows, they are great for getting around the inner city and allow riders to stay much more connected to the city without having to stay in the cocoon of a car. Importantly, the e-scooter program was not incentivized by the city but evolved out of the natural demand from the market which lined up perfectly with the only recently available electric scooters. This trend is happening in cities like Berlin and Paris as well with the COUP scooter sharing program. Stuttgart is also looking to ebikes as a key piece of the solution to the transportation puzzle. As residents get increasingly frustrated with the traffic in Stuttgart, they have started turning to alternatives like ebikes to fill in the gaps of their commutes. To stimulate this trend, the city of Stuttgart holds education sessions for ebikes to give residents the inside scoop on the new technology and to showcase the ways electrified bikes can help with their commutes. In travelling around the city for a few days, ebikes were everywhere. Residents zoomed around on the many bike paths, stores featured them, and city officials were familiar with them as a key component of the solution to the city’s mobility challenge. For those that have not ridden an ebike, they are leaps and bounds easier to ride than a traditional bike as they do not require any sort of strength or endurance from the rider. They simply have to get on, select how much assist the motor will provide and off they go. Configurations and price points vary significantly so it’s worth reading up on them before diving in. The City of Stuttgart manages the entire transportation system for the city from a new, high tech control center that is shared with the city Police Department and Fire Department. This ensures that the city resources are positioned to respond from anything from a minor traffic collision up to a major disruption of city services. The hub brings together all of the sensors, cameras and data collected from the transportation system staffed by a team of skilled first responders that are trained to react quickly and appropriately to any need, big or small. The leaders of Stuttgart have no plans to let up in their efforts to reduce sources of pollution in and around the city on the path leading to clean air in Stuttgart for the residents, workers, and for future generations. While their passion and drive to create the Stuttgart they envision is driving near term results, the outcome is all but certain. Opposition from the entrenched industry threatens to stifle progress. 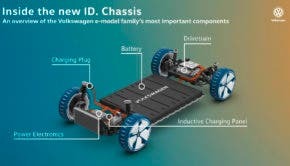 Fearful unions threaten to delay the transition to electric vehicles in the city and around the world. Companies with holdings and future business tied to legacy business models are resisting the transition. 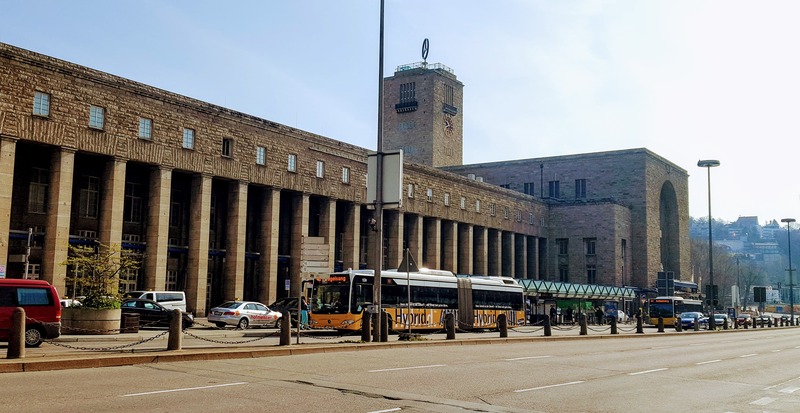 Not everyone in the city is on board with the multi-billion dollar plan to gut the city’s historic train station in favor of a modern train station that will be better suited for the hub Stuttgart has become. What is certain is that the seeds of the future Stuttgart have been planted and they are taking root. The future is coming. and I for one am hopeful that Stuttgart will indeed pivot past these struggles to become the city its residents want to live in. To become the city known not for diesel engines and particulate, for traffic congestion and feinstaubalarms but for its parks, for the innovative spirit of its residents. It will take immense amounts of effort and many years but it is possible. The future is now.